Mikkel Hess & the Hess Is More Ministry of Integration perform My Head is a Ballroom?. a work in progress developed at the Clocktower, plus Oyama Enrico Isamu Letter reveals his mural room (also in progress), and The New Dreamz give a mini-show in their project room. 6pm. No admit after 7pm. RSVP to events@artonair.org. Details below. 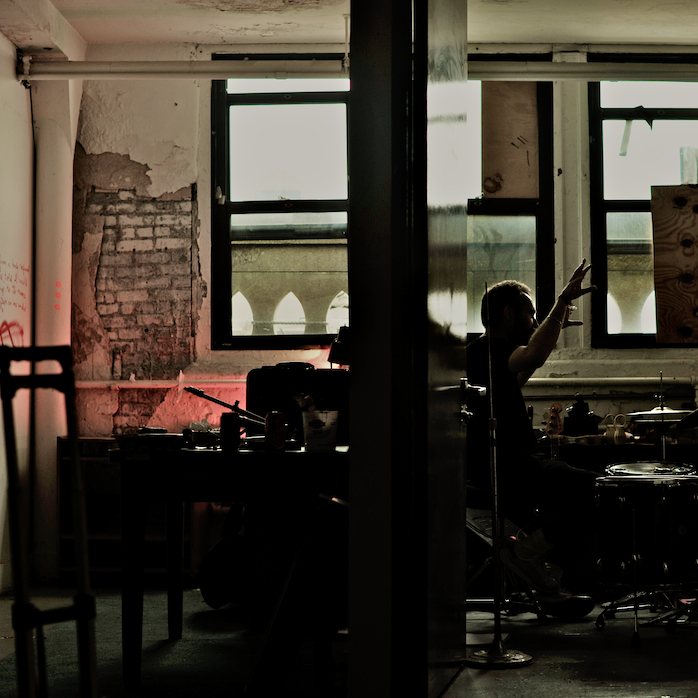 Throughout the month of May Mikkel Hess and his fellow musicians of Hess Is More Live have been working in the studio at the Clocktower Gallery to develop and arrange new material. This process has yielded a repetoire investigating relations among Folk, Disco, Pop, Afro, Punk, Jazz and more... This evening the ensemble will play an intimate "work in progress" concert in the upper gallery - live testing this new music for the very first time. A selection of photographs by "stupidface" will be on view in the studio along with other elements from the process. The same night visitors will also have the chance to have a look at the mural of Oyama Enrico Isamu Letter, which will be painted white again the following week and turned into a sound installation piece with many small speakers will reproduce the previously recorded sounds of the painting process. More information on his residency here. The night is completed with a Mini Performance by fellow Clocktower studio artists and performance artists The New Dreamz. More information on their residency and events here. As self-appointed minister of integration Mikkel Hess directs the sum of all the great artists that are and have been part of the concerts, projects, parties, films, and plays that took place under the name Hess Is More. 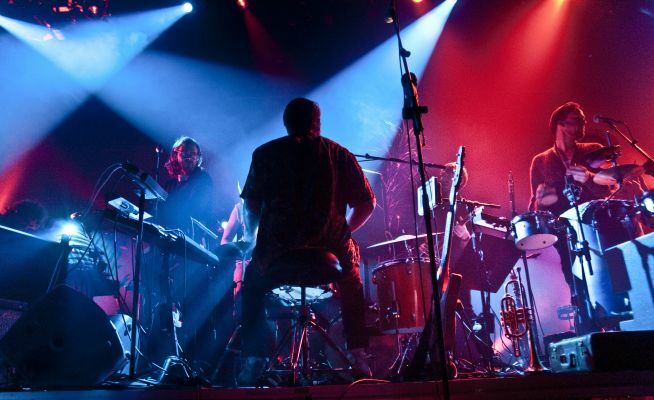 With the support of his fellow musicians and collaborators he throughout the years has made music for films, theater and multimedia, including cooperations with the Royal Theatre, National Danish TV, The Danish Film School and many more. Working for a month in the Clocktower Gallery recording studio, Mikkel Hess develops new music, rehearses his ensemble Hess Is More, records demos, and produces a radio series that investigates contrasts such as dry talk versus loud music, dead serious interrogation versus air-headed fun and many more. 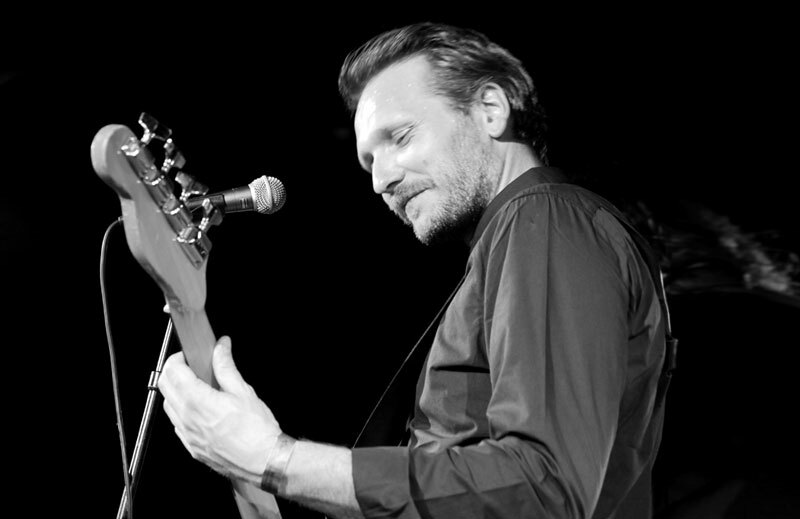 Special event: Mikkel Hess & the Hess Is More ministry of Integration: My Head is a Ballroom? 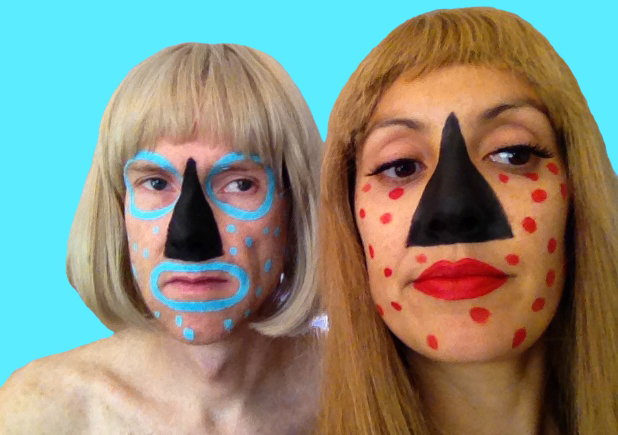 Andrew Jeffrey Wright and Rose Luardo work together as the duo The New Dreamz. In their work, which is primarily expressed through the mediums of video and performance, they explore identity, class, pop culture, beauty, sexuality, and even the process of art making itself. Blending a myriad of eclectic influences they re-contextualize their source material and create a dense and vibrant landscape that takes the audience into a total mind and body experience. They bend reality with an eye towards illumination. What they yield is a mix of visual poetry, identity art, and the trying on of body comportment. Wright and Luardo find creative fodder in the materials they have amassed over years of friendship. They use a stockpile of wigs, costumes, curiosities, lot store items and the like--to transform themselves. Oyama Enrico Isamu Letter has joined our artist production studio program where he will develop a new room-swallowing mural and sound installation entitled Aeromural. Open studio and artist talk on Thursday, June 27, 2013 from 6-8. RSVP, Oyama Enrico Isamu Letter is an artist born in Tokyo, 1983, to an Italian father and a Japanese mother. 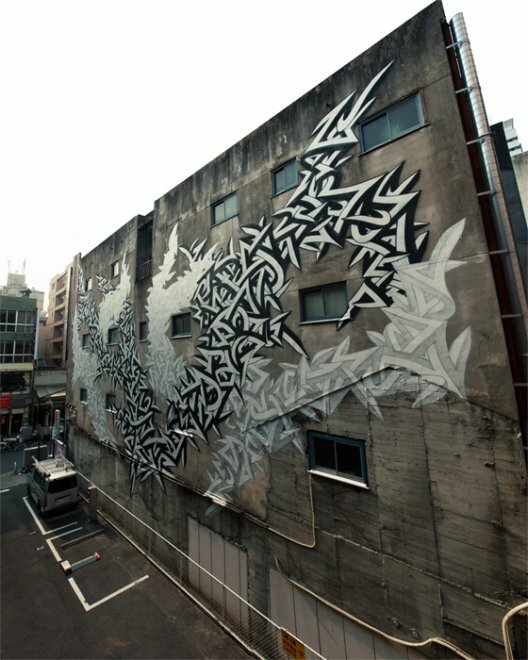 “Quick Turn Structure” is the recurrent motif of his work including painting, installation and mural. 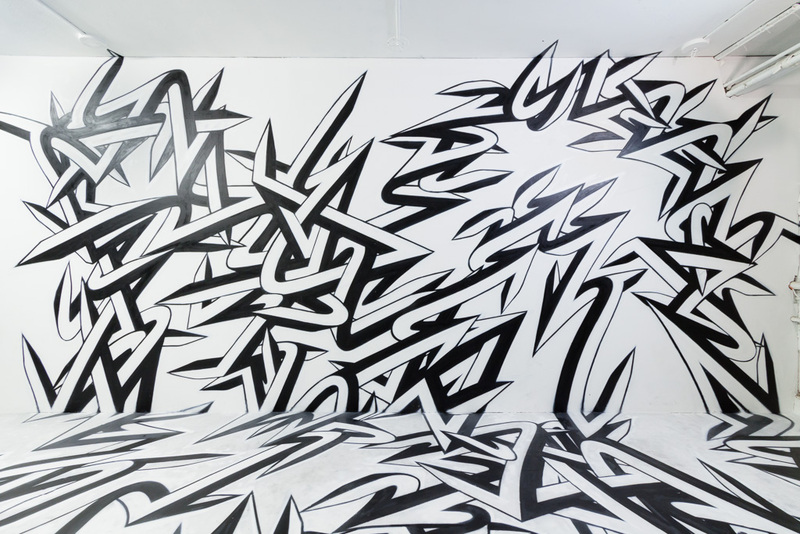 Based on his unique perspective across contemporary art and street art, his practice also expands to writing critical texts, participating symposia and commission works such as one for COMME des GARÇONS in Paris Collection 2011. The first half of the residency includes the creation of a mural inside of the residency studio while microphones record the sounds of the aerosol sprays. These audio files will be used for the second half of the residency. After the room is painted white again and restored to its original condition it will be turned into a sound installation piece. Many small speakers will reproduce the previously recorded sounds of the painting process and therefore serve as a reminder of the mural that has been created producing these sounds but is already long gone.